The Outlaw Run was built by Rocky Mountain Construction. 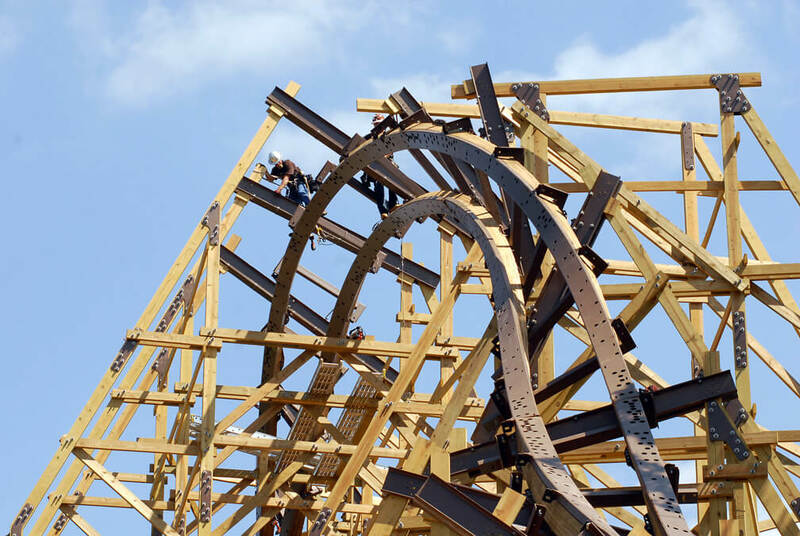 It is the first and only wooden coaster with inversions and the second fastest wooden coaster to date. It competes with Colossos at Heide Park in Germany, for speed. 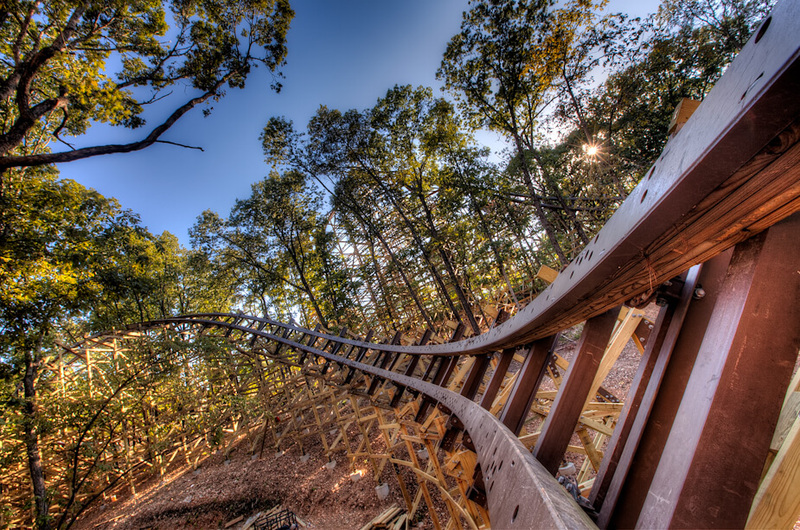 The coaster’s track is made of laminated wood with steel plating in the upper layers of the track. 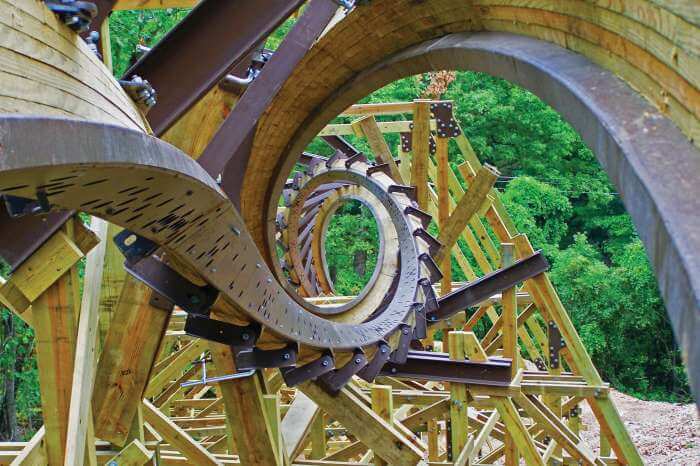 Rocky Mountain construction spent four years developing a technique to twist beams of wood for Outlaw’s inversions.